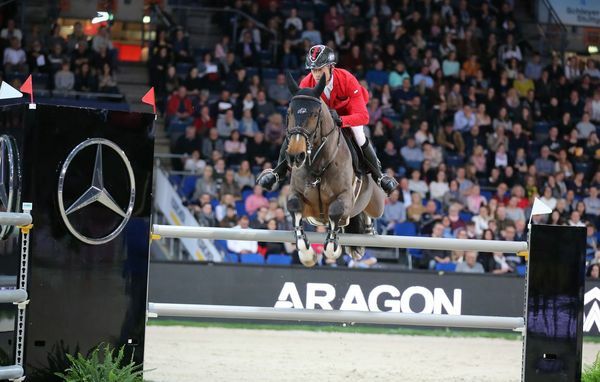 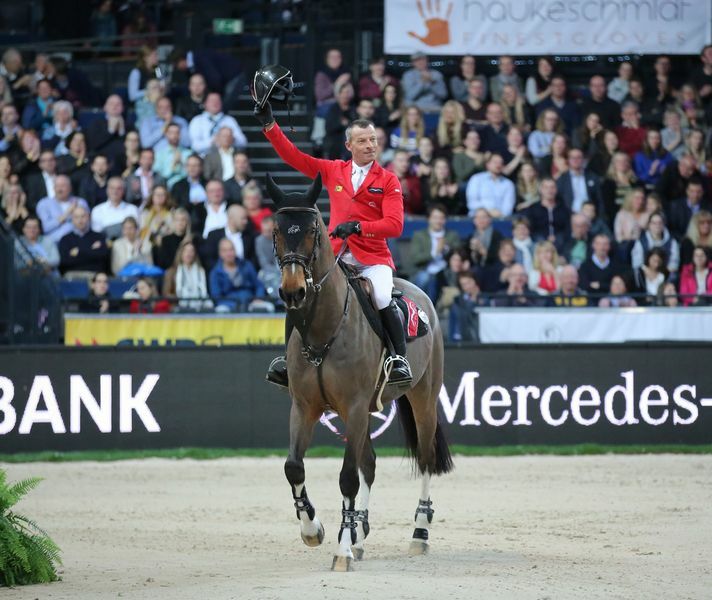 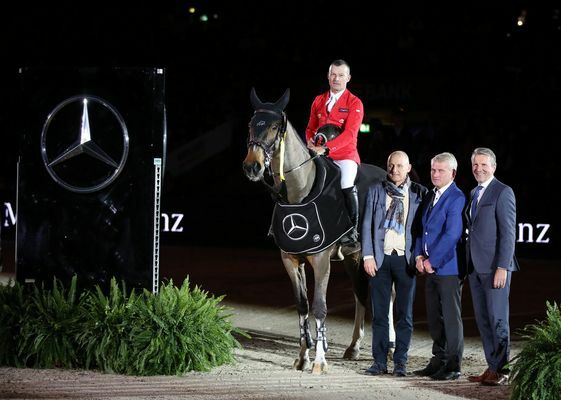 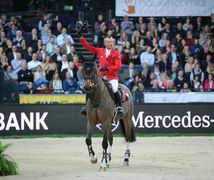 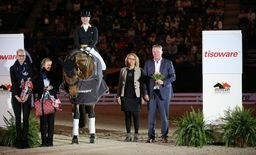 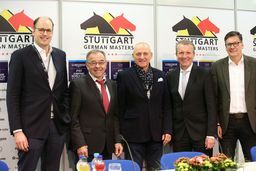 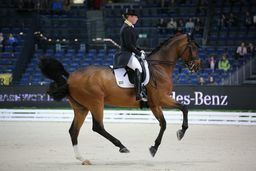 Stuttgart – For the second time since 2011, the Swiss Pius Schwizer secured the prestigious MERCEDES GERMAN MASTER in front of 7,700 spectators in the Hanns-Martin-Schleyer-Halle on Friday evening. 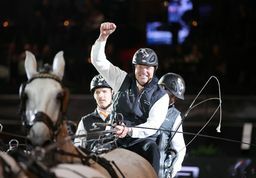 Like beforehand in the two qualifying classes on Thursday and earlier on in the day, the 56-year old claimed the win. 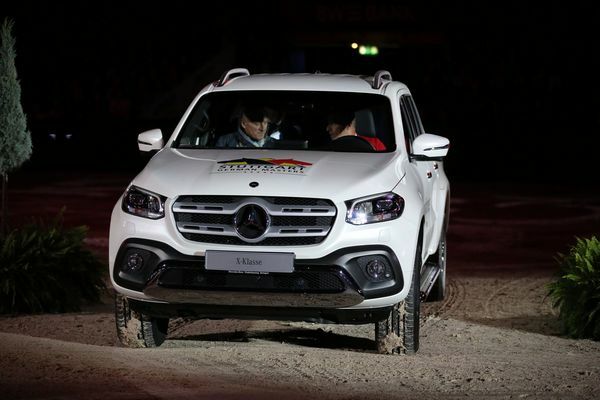 With a big smile on his face he then drifted his way around the lap of honour in the winner’s car, a Mercedes-Benz X-Class Power 4Matic worth 65,600 euro. 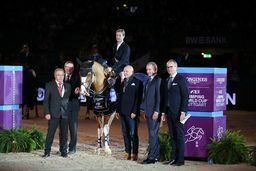 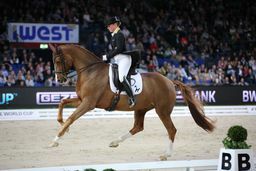 In the three-man jump-off that also included Ludger Beerbaum (Germany) and the Austrian Max Kühner, the Swiss was the last to go on his 13-year gelding Living The Dream but ended up the quickest with a time of 32.43 seconds.